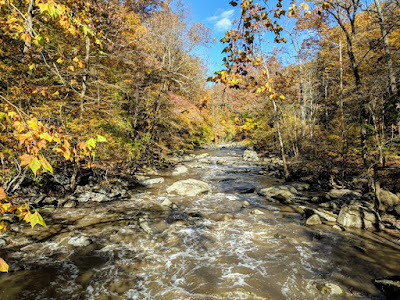 In the glare of the midday sun, we travelers peacefully walk along a winding Virginia pathway, canopied by towering trees left leafless from autumn's parting. 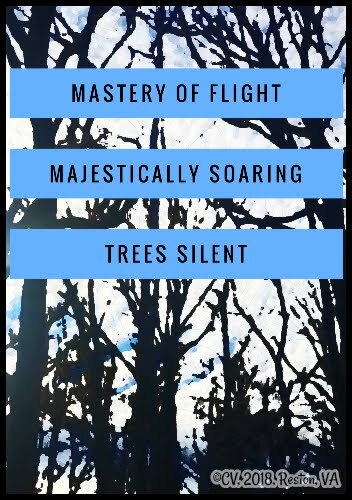 Only faint sounds of children are heard from a distant playground when suddenly, the sky opens to a swoosh of flight. Two stealthy hawks dart upward showing their soaring prowess while an owl quietly rests. Nature holds court in its sanctuary of stillness as early winter enters. 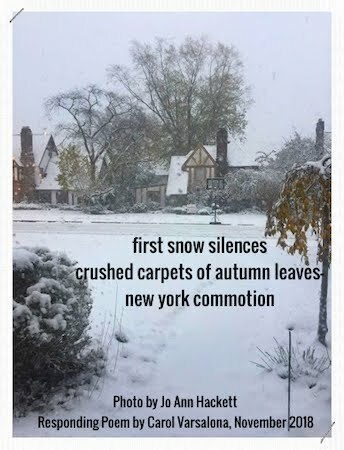 Many thanks to my poet friends, Linda Mitchell who wrote a haibun in response to one written by Laura Shovan. A haibun is a poetic form that combines a prose poem with a haiku. 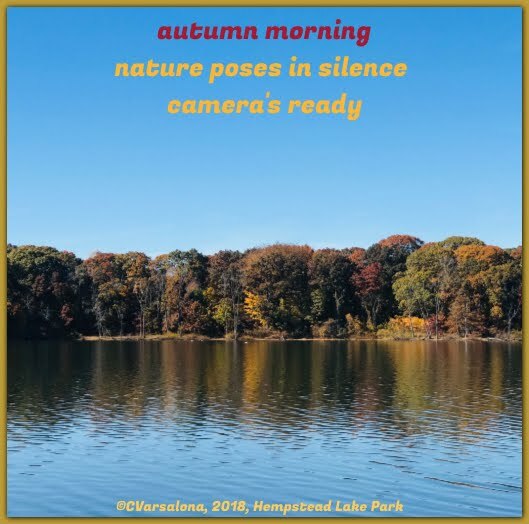 In this sequence, I focused on autumn's departure, winter's arrival, and one of the nature trails that are prevalent in the Reston, Virginia neighborhood where my daughter, son-in-law and grandbaby live. My one word hope has followed me throughout this year and especially during the month of December as a group of poets have written under the hashtag #haikuforhope. Since I missed Poetry Friday last week because of pre-Christmas travel to Virginia, I look forward to joining our host Donna Smith this week and reading what my colleagues have for the last Poetry Friday of 2018. 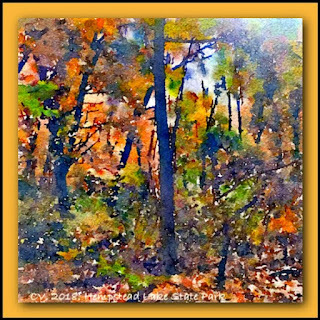 I will be offering my Abundant Autumn Gallery to social media soon. Stay tuned! Since I cannot wish upon a star here on Long Island, I have been staring at the crescent moon for several nights. 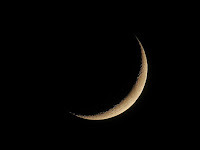 It has provided a brilliant light in the dark indigo sky and has become my channel for hope this week. 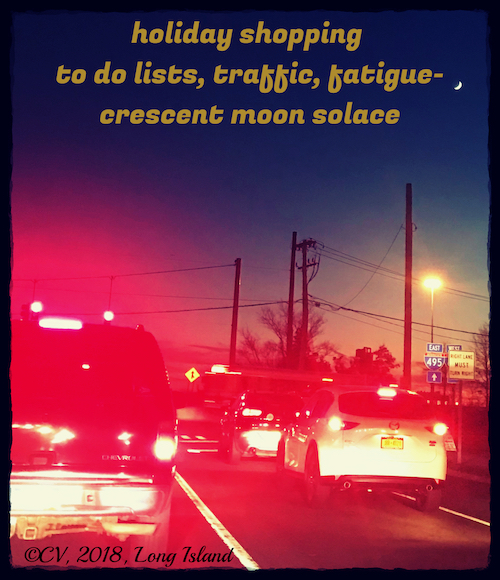 As I am in the decorating mode, preparing for Christmas, the following #haikuforhope evolved. Thanks to my Poetry Friday writing colleague, Catherine Flynn, a group of writers are engaging in a daily writing practice, #haikuforhope. I have been happy to participate in this community effort with Linda Baie, Mary Lee Hahn, Julieanne Harmatz, Molly Hogan, Jone MacCulloch, Linda Mitchell, Heidi Mordhorst, Jean LaTourette, Mandy Robek, and Margaret Simon beside Catherine Flynn. My one word for 2018 is hope so this writing opportunity is extending my reflecting time. Now I turn my attention to the Poetry Friday Roundup at Laura Shovan's blog. 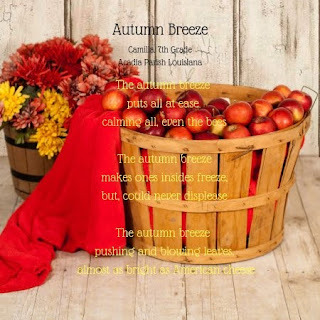 Laura has a special guest, poet Jona Colson, who is sharing a beautiful winter poem full of imagery, just it time for the official transition of fall into winter. 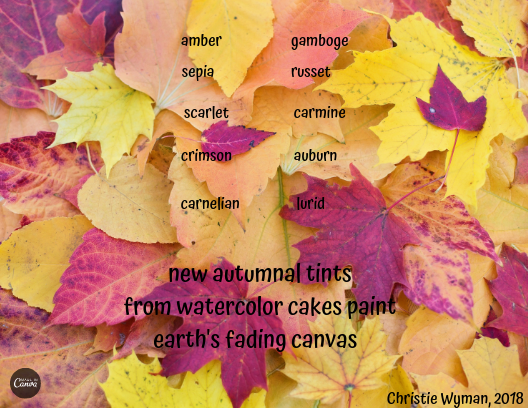 Note: I have collected the artistic expressions that were sent to me for my upcoming Abundant Autumn Gallery. December is a busy month so I have not had the time to start the design phase. Stay tuned. Each year, I say I'm going to decorate the outside of my house on a warm day. Every year, I seem to miss that opportunity. This past weekend with temperatures below freezing, I was outside setting up my holiday front entrance. Needless to say, I had to run inside to warm up several times. On the third day of decorating, my husband and I went out shopping for small spruce plants to fit in my outside pots. While searching for these items, I saw a nostalgic site in our local nursery-a first! 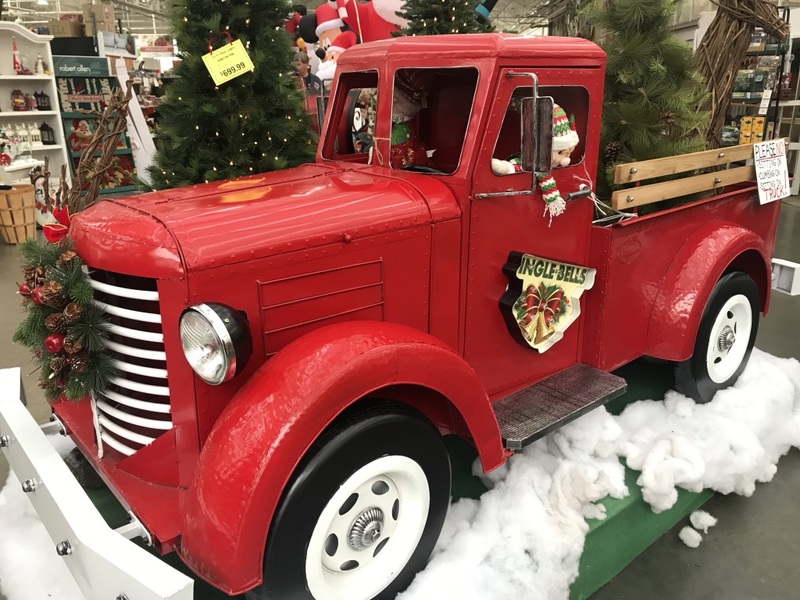 We don't have the opportunity to see trucks like these on Long Island. While I was bundling up for the cold weather, I received a photo from my daughter. It appears that my grandbaby is not daunted by the weather. I can't wait to visit her for the Christmas week. My hope will be that it warms up by then. 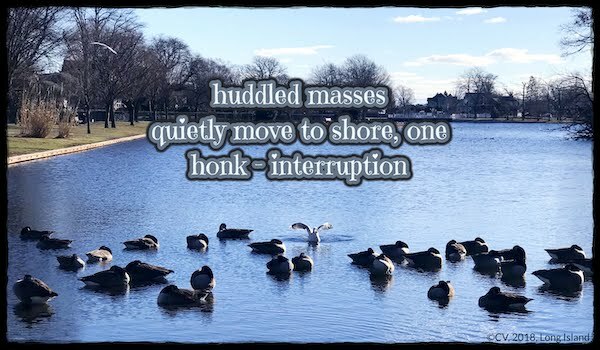 Thanks to a Poetry Friday writing colleague, Catherine Flynn, a group of poets and slicers from Slice of Life Tuesday are engaging in a daily writing practice, #haikuforhope. I am happy to participate in this community effort with Linda Baie, Mary Lee Hahn, Julieanne Harmatz, Molly Hogan, Jone MacCulloch, Linda Mitchell, Heidi Mordhorst, Jean LaTourette, Mandy Robek, and Margaret Simon beside Catherine Flynn. It's Slice of Life Tuesday at Two Writing Teachers. There are a couple of reviews of new books on writing that are intriguing me. Interested? Join me here. 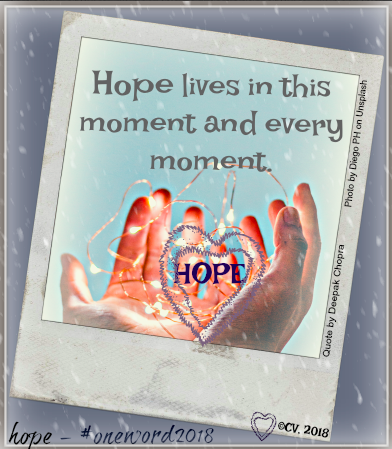 This week to prepare for writing my Spiritual Journey first Thursday post on my one word, hope, I reflected. Finally, late into the wee hours of this morning, I put the blog "to bed" along with a very sleepy me. Since today was another busy one, when I had a free few minutes, I tried to write my Poetry Friday post but I kept getting stuck. I'm back at the end of the day with my one word, hope, hopefully guiding me. Hope is in the air, despite the cold chill. There are possibilities ahead! Stay tuned while I gear up to celebrate the end of autumn with Abundant Autumn Gallery. I'm off for more excitement at the Poetry Friday Roundup. Host, Liz Steinglass is sharing J. Patrick Lewis' anthology, The Poetry of US, including her beautiful poem, The Menorah, that is included in the book. In a year of challenges and small triumphs, my one word, hope, journeyed with me. Sometimes, hope led me when I needed support. Other times hope lingered behind waiting for me to pause to notice new possibilities and routes to follow. Hope was there when I needed a listener and gave me the strength to wipe away tears. It brought me smiles and the confidence to forge ahead. Oftentimes, hope stayed in the background but there were many times it popped up to remind me of its commitment to guide me on my journey. I found hope in many places, in images, positive feelings, my grandbaby's smile, and small triumphs. Hope nudged me to stop worrying about what needed to be accomplished. It signaled me to relax in the presence of a new day but life has its way of causing interruptions and bringing uncertainties to the forefront. Meeting those challenges takes strength, faith, and hope. This week, I leaned on my one word to accomplish what I needed to do. There were doctor, dentist, and physical therapy visits, and also yoga classes to de-stress. Autumn decorations needed to be replaced by Christmas items. It seemed as if there was hardly any time to pause. I needed time to relax, write, and reflect. The opportunity came after another trying visit to the dentist. As I walked outside, I noticed the pond across the street. It called me to stop by. 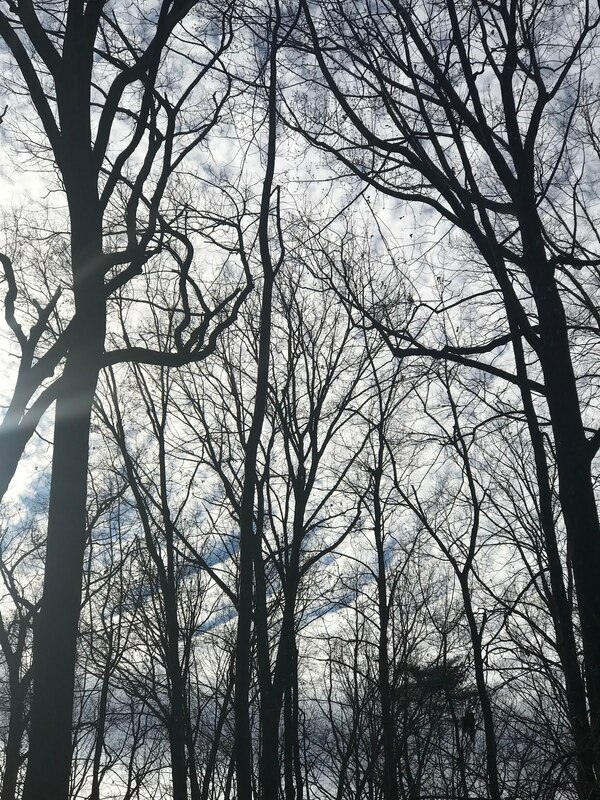 Granted it was very cold outside and I had many errands to run but I knew I would regret not pausing to catch my breath and observe nature. It was when I made the decision to stop that I realized hope was leading me toward the pond. There was a mass of ducks huddling together, probably trying to keep warm. All was peaceful on the pond. The ripples were gentle. I felt calm and relaxed taking photos of the scene until an intruder came in honking and flapping his wings. I started thinking, "Isn't that what happens in life?" Distractors are all around. For several days, I have been thinking about the pond and the photos I took. Then at the beginning of yoga today the teacher asked the class to think about the sounds that may be distracting us. She added that it is up to us to put aside the distractors and focus. I know that I have been distracted by interruptions and to do lists. I have questioned my ability to persevere. I called upon hope to become my support and I wrote as a cathartic act. Hope continues to be present in my life as a gentle, supportive guide that exists in this world of challenges and triumphs. Life is fragile and uncertain but possibilities wait around the bend if we have faith. 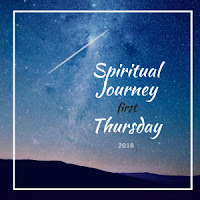 Tonight I join my writing friends at Irene Latham's blog for Spiritual Journey first Thursday. We are reflecting on how our spiritual journeys have been impacted and influenced by our one little word. a seed of thought develops. Last night at the #TeachWrite chat, we were talking about what inspires us to write. I replied, "Some days I wonder what to write about or where the inspiration will come from." 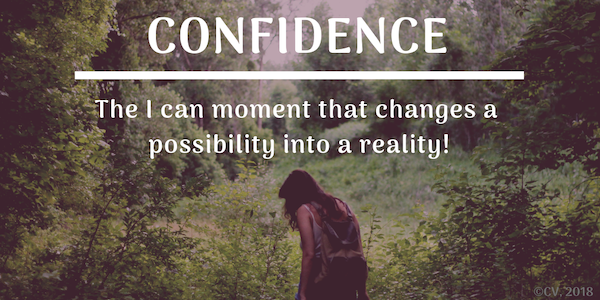 All day, I continued to ponder this so tonight while chatting with my #DareToBe friends about confidence, I was inspired by their conversation to jump in and write my thoughts. I responded to the first question with a digital inspiration (see above). Ideas flowed and out popped a poem. It was the break from academic writing that allowed me to go back to the thoughts that have been churning inside since last night. It is interesting how a word, image, or occurrence can generate new ideas and the energy to write creatively. Confidence allowed me to step forward and transform a possibility into a reality. What will you do tomorrow to take a leap of faith? I plan on believing, trusting, and relying on my one word, hope, to guide me. I am delighted that I could take a few minutes to write down the thoughts that have been fermenting all day. As fall settles in for hot cocoa, outerwear weather, and a winter nap, I breathe a deep sigh. It has been a glorious autumn of variegated, dancing leaves, scampering squirrels, and changing temperatures. Now, as I prepare to design another seasonal gallery, Abundant Autumn, I look back upon the nature photos, image poems, and artwork from across the globe that will be featured. 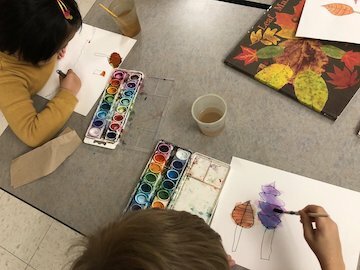 As a fitting close to a month of gratitude, I would like to showcase some of the student additions to my upcoming fall gallery. 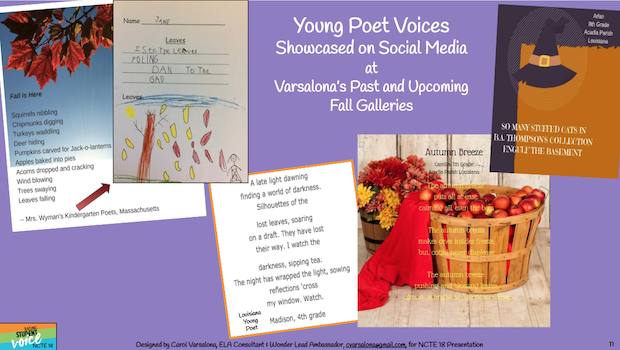 I shared the following poetic offerings at NCTE 18 as a tribute to student voice for each young poet wondered about earth's seasonal beauty and expressed their thoughts poetically. who enjoyed an abundant autumn season. 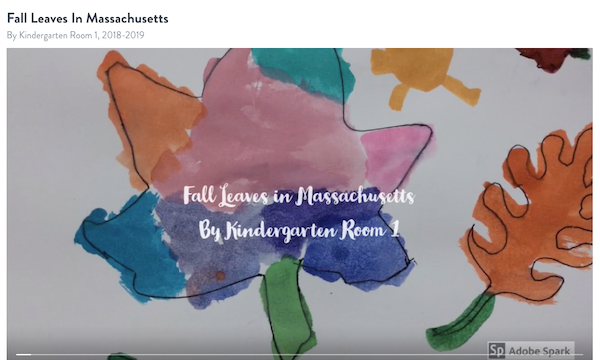 f you click here you will see the Spark Video that Christie made of the fall leaf watercolors from her Kindergarten class. This will be shared in the upcoming gallery. Included in my NCTE 18 presentation, "Imagine the Possibilities If All Voices Were Honored In Every Classroom Around the Globe," is a thought I believe in and foster during professional development sessions. I am extending the deadline to accept offerings for Abundant Autumn Gallery for another week since I have not started to design the gallery. 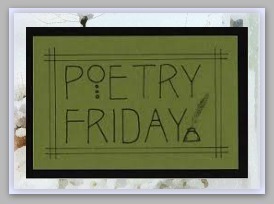 The Poetry Friday Roundup is at Carol Wilcox's blog site this week. What she has to offer about novels in verse from K. A. Holt is very interesting (I attended a session at NCTE 18 where this author presented). "One more thing... did you know that according to an NEA study in 2017, more people are reading poetry now than at any point in the 15 years the NEA has been conducting the survey? People seek out poetry in times of resistance and strife. We need it now, more than ever." While I am in Houston for NCTE18 still enjoying autumn, Long Island is sharing a new fall color, winter white. Reminder: The submission deadline for the Abundant Autumn Gallery is November 28, 2018. 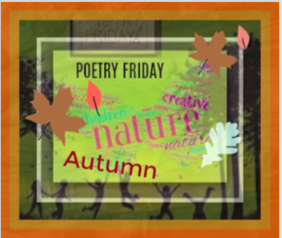 Poetry Friday is being hosted this week by my poetry colleague and social media friend, Linda Baie. I'm off to check in. 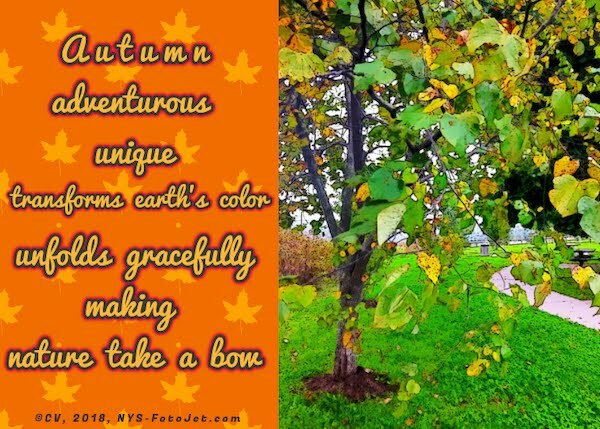 Autumn celebrated nature's dazzling colors at the beginning of last week. 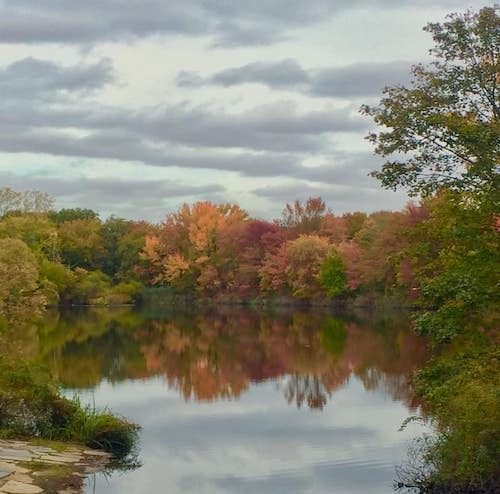 It was time for our annual, autumn nature walk to explore the wooded areas of Hempstead Lake Park. With my camera and a bag to collect fall artifacts, I prepared to capture the beauty of an autumn day while my husband led the way. Dressed in the finest fall fashion, Autumn waited for her applause. Assorted multi-colored leaves were strewn about the ground while the trees were dressed in vibrant colors. A picturesque, russet-colored scene greeted me. What if I transformed the scene into digital art? Inching our way toward sunlight, my husband found a great site for a photo shoot. It was a stop and stare moment-a mirrored reflection. 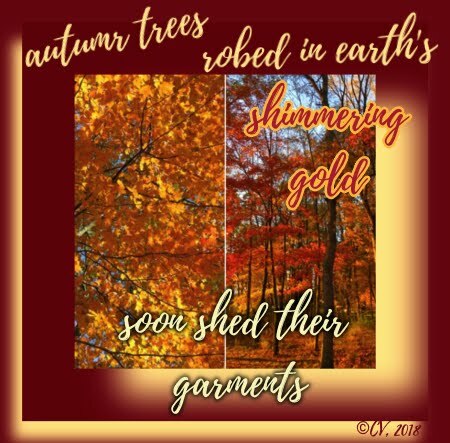 Although the trees were not all in high fashion color, they created a lovely backdrop for a quick haiku image poem. While we were in awe of Autumn's beauty, my daughter was experiencing a similar feeling in the Virginia-Washington, D.C. area. One difference that I noticed was the movement of the water. The Hempstead Lake Park water body was still for the most part while the photo below of Rock Creek Park in Washington, DC appeared to be full of movement. 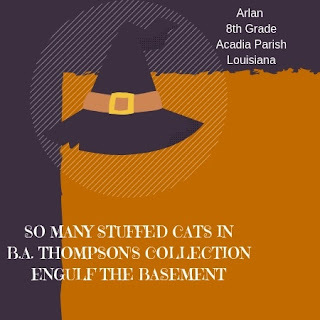 Photo below by Devin Hartnett for #AbundantAutumn Gallery. to brighten a rainy day. It's Slice of Life Tuesday so join me at Two Writing Teachers. For weeks I have watched the squirrels scampering in haste. Their energetic pace and fervent pursuit of the fruits of autumn have not been in vain. However, I am curious about where they hide their food. 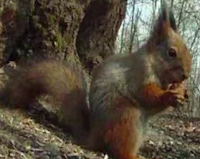 I have never seen where they "squirrel away" their food. To answer my inquiry, I checked out Wonderopolis and was delighted to find, Wonder of the Day #469, "What Do Animals Squirrel Away for Winter." The informational text notes that grey squirrels, the kind we have in my neighborhood, "hide their food by burying it in many different places underground. Scientists call their scatter hoarding." 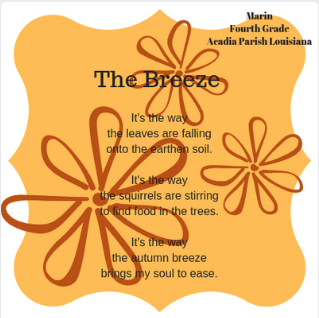 Using the poem, For the Chipmunk in My Yard by Robert Gibb as a mentor text, I drafted a poem about the scampering squirrels in my neighborhood. Making cars stop short not to harm their little feet. I watch their antics, running here, there, and back again. While all about them, autumn prepares for its transition. Dreaming of hunkering down in months to come. I think they know they are living amongst humans. Co-habitation is a non-issue to the scampering squirrels. You may enjoy watching a short video seen at WOD #469. 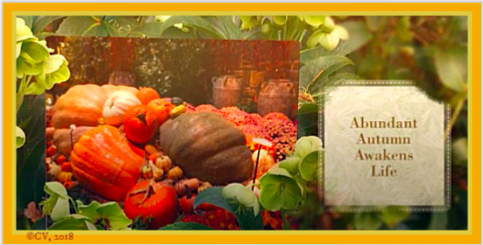 Please share your digital offerings of autumn in your locale with me as I design the Abundant Autumn Gallery. 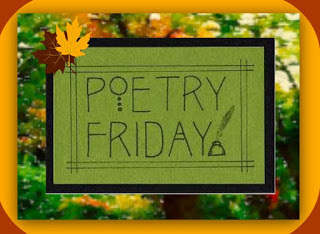 Now,I will join Michelle H. Barnes who is the host of this week's Poetry Friday Roundup. Michelle invites us to her blog, Today's Little Ditty, after a bear of a week. In early autumn, Mother Nature swept away the sands of a Long Island summer and started mixing colors of sunset orange, terracotta, mahogany brown, apple, russet, butter rum, and maroon. Her studio, the great outdoors, overflowed with visual images of luscious landscapes. Slowly, autumn colors emerged outside. I observed the dance of leaves swooning as nature dipped and stroked her canvas with a fresh coat of paint each morning. Autumn moved gently from one shade to the other until the winds tipped the palette. 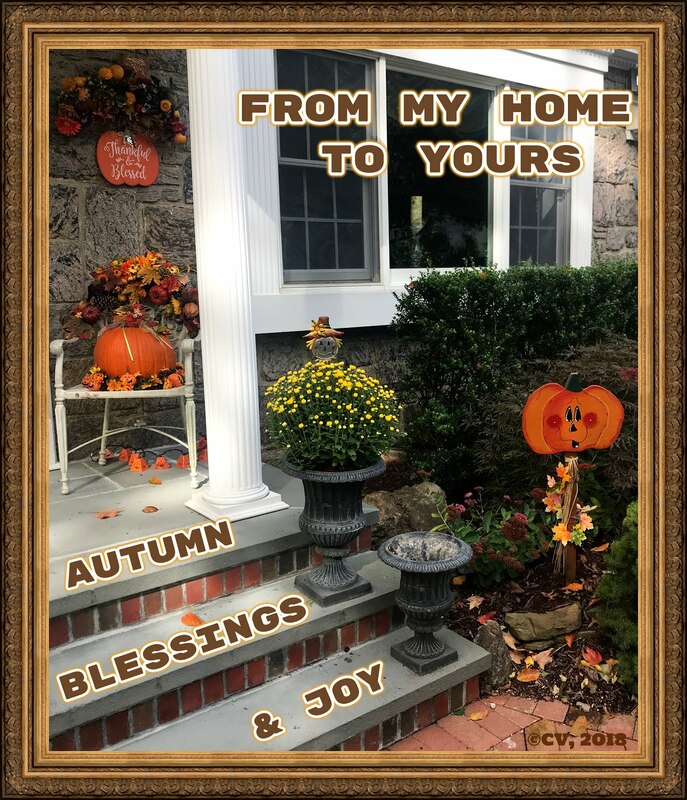 Mother Nature, enjoying the shifts of weather, whimsically skipped with the autumn leaves and smelled the fragrance of cinnamon and pumpkin spice. 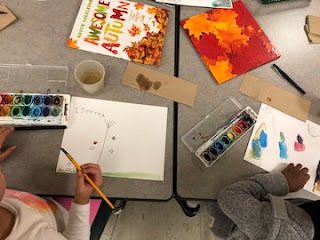 I continued to observe, write, and send out invitations to capture the colors of autumn for an upcoming fall gallery, #AbundantAutumn. My short video can be viewed here. Halloween chose dark shades of indigo and licorice with a touch of neon carrot to color its sky night, providing me with inspiration to create a Happy Halloween Ditty. 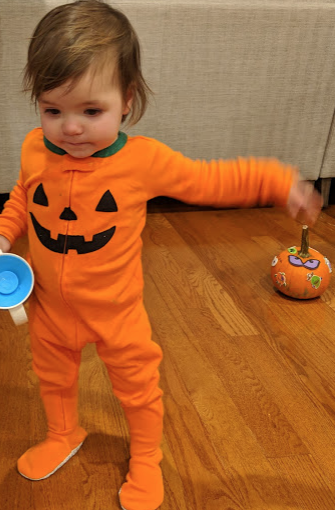 Through Google Hangout, I had the opportunity to read the story poem to my grandbaby on Halloween Eve. As November arrived, I gathered in gratitude with the Spiritual Journey 1st Thursday community, remembering what transpired. "… the trees were dropping golden, amber, and scarlet leaves, while under the pale yellow ones which rustled beneath the chestnut-trees, there were brown, glossy nuts…." 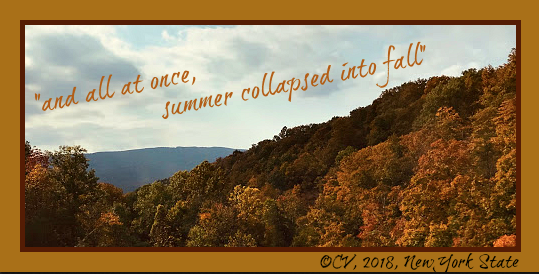 I come to this day, knowing that a rush-rush pace does not benefit living life and that "Everyone must take the time to sit and watch the leaves turn." 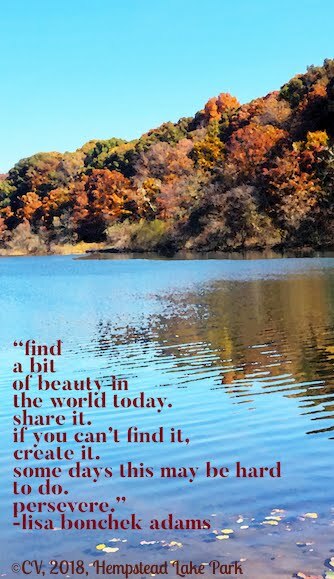 I'm off to celebrate autumn colors on Day 4 of #30daysofgratitude. Today, I'm grateful for Mother Nature's artistic talent that inspires me to create digital inspirations. I celebrate with Ruth Ayres and the Celebrate This Week community.